With their excellent adhesive properties, you can apply Spectrum Acrylic paints to most grounds. An oil-based or very glossy surface may present issues and would require an acrylic primer (such as Covent Garden primer) for permanent work. 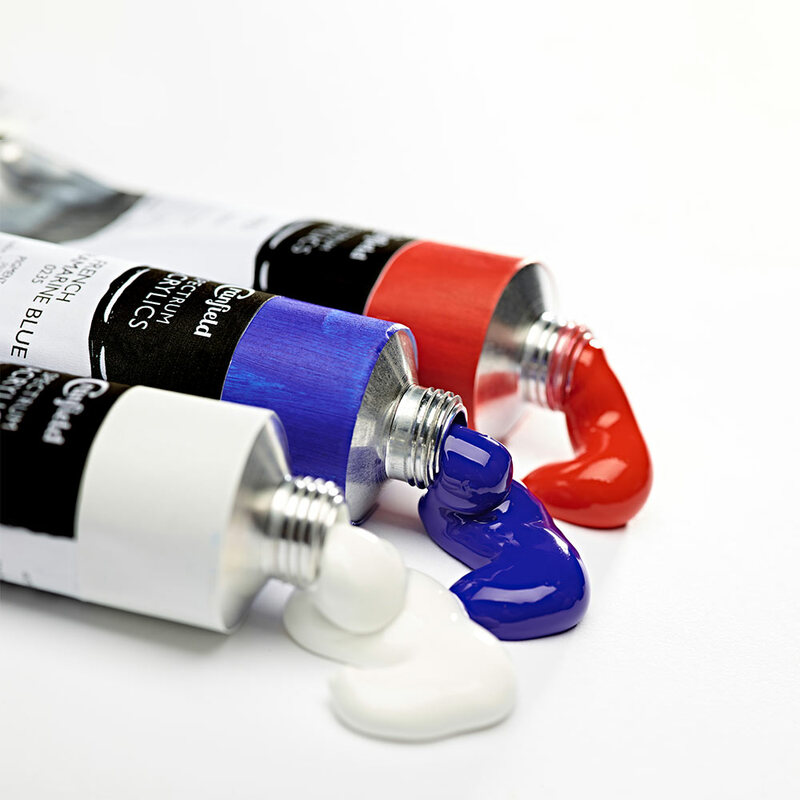 Hints and tips All dried acrylic films become brittle at low temperatures. Only apply them at ambient temperatures above 10ºC, and protect finished work from frost. Store in a frost-free environment all year round. All acrylic paints dry through evaporation. Working in an area of exceptionally high humidity will also influence their drying characteristics. All products containing Cadmium require careful handling and use.